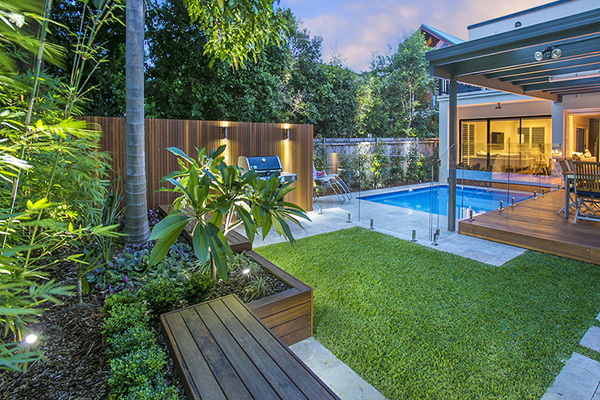 This garden in Freshwater was once a concrete graveyard with a poor outlook and flow from the house. 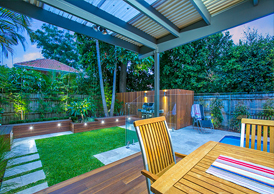 Dominated by an oversize pergola it was a gloomy and damp space. 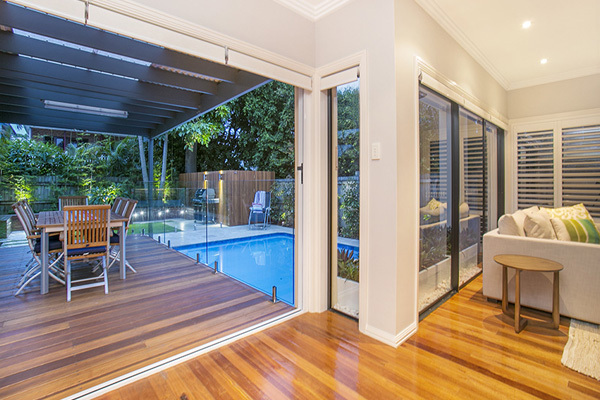 It was decided to remove half of the existing pergola and to lighten up the adjoining lounge room still further by introducing large bi-fold doors. 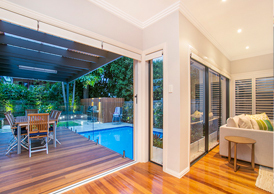 The doors opened up to a large decking terrace creating the indoor-outdoor living we always try to provide our clients. 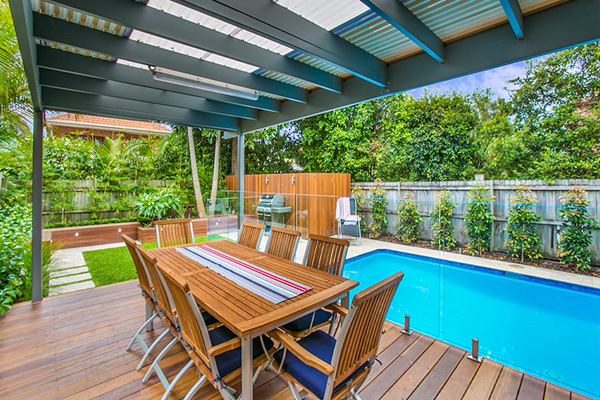 The use of wide spotted gum decking boards help to simplify the space and successfully reflect the timber flooring already employed in the residence. 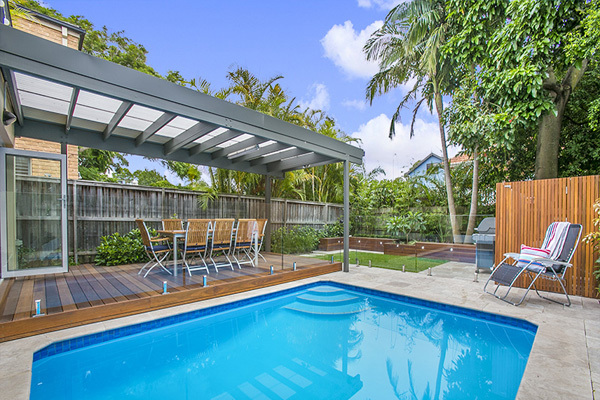 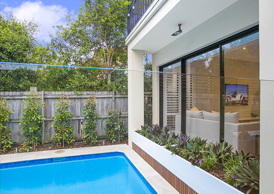 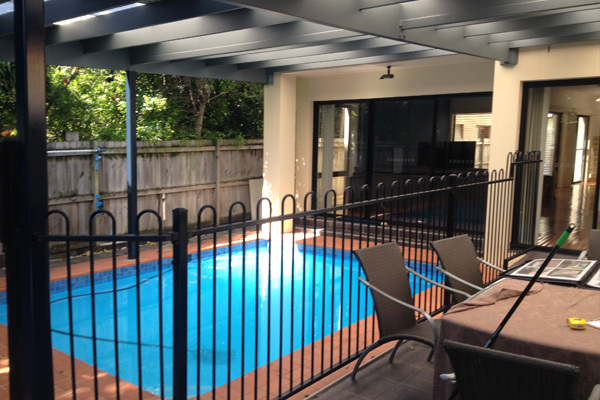 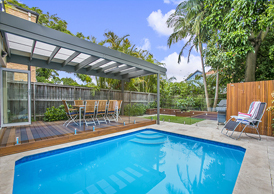 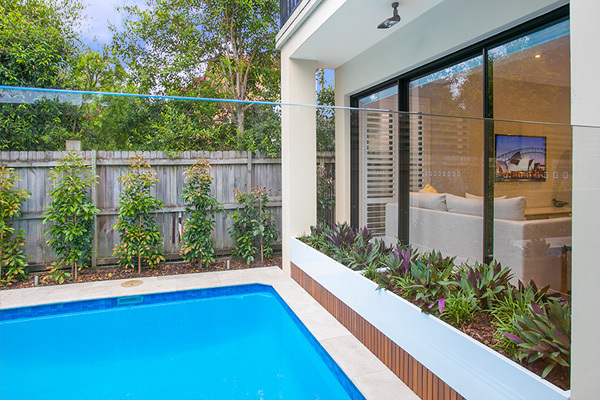 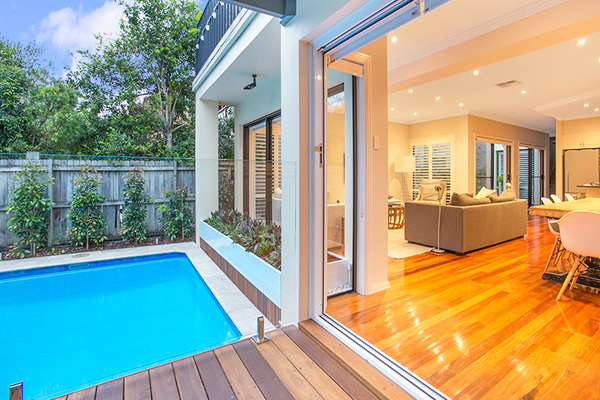 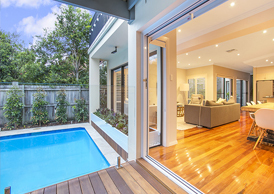 A new glass pool fence and hardwood screen effectively hide the pool equipment and creates plenty of storage. 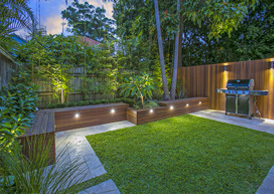 The existing retaining wall at the rear of the property was removed and taken further back towards the rear boundary allowing us the luxury of a good size lawn area. 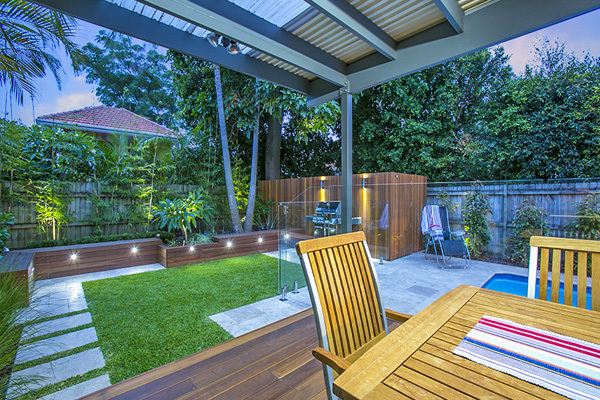 The retaining wall has been replaced with a series of in-built bench seating thereby utilising every square inch of the garden to its maximum. 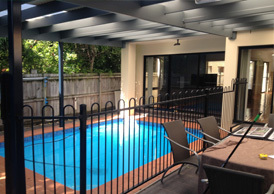 Custom made planter boxes provide a terrific focal point in the pool area from inside and out as well as effectively hiding some old steps now redundant. 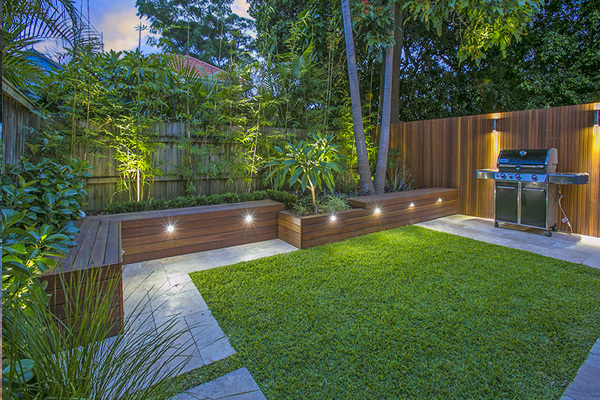 The lighting design employs three different effects all controlled by a remote control unit that really brings the garden to life at night. 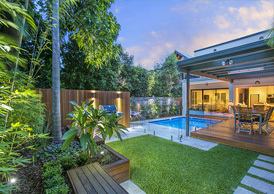 This garden once again proves that simple is quite often best with the Travertine and hardwood decking in complete harmony with the lawn. 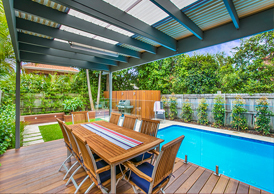 This project was a pleasure to design and work on and shows what is possible within a small area and on a budget.